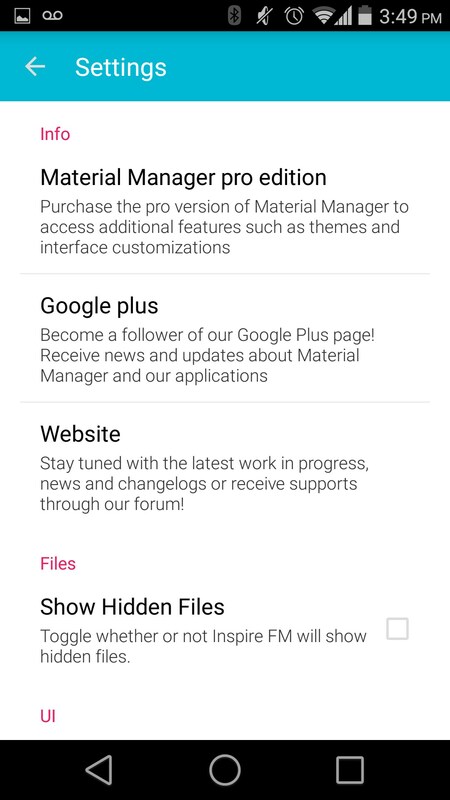 Material Manager – Soft for Android 2018 – Free download. 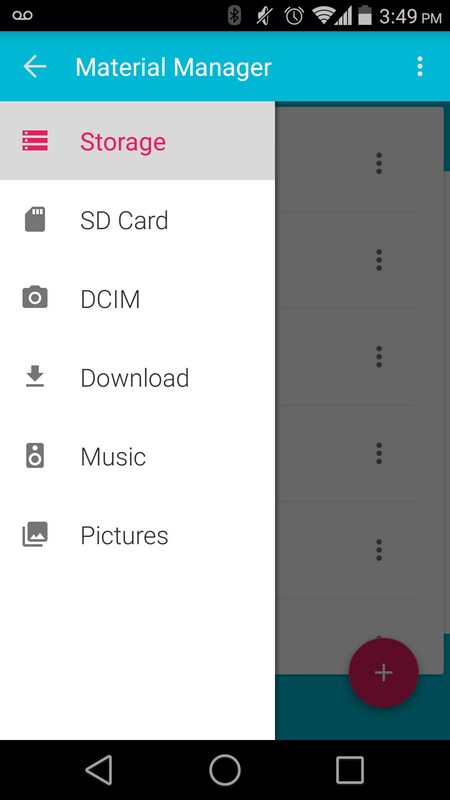 Material Manager – A great file manager with material design. Material Manger for Android recently got its foot in the door by being (probably) the first file manager app to have material design. In fact, this might be one of the best looking file manager apps currently in the Play Store, and the best thing about it is that it didn’t have to sacrifice any functionality to achieve that. 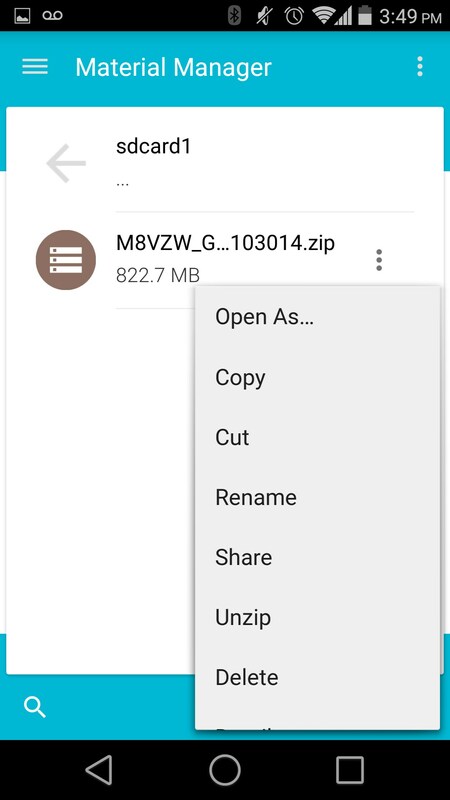 When someone downloads a file manager, it’s pretty clear that they are doing so to get some work done. 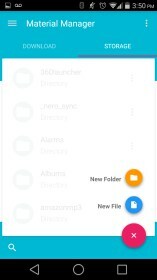 After all, how often does a typical user need to go digging through their system in search of files they can’t find through a regular app? 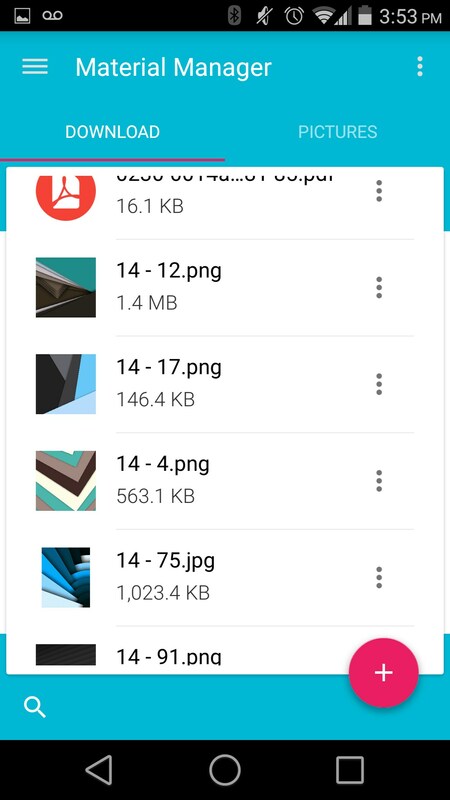 This app decided to value form as much as function, and provides the user with a pleasant experience while using the app. There are a few themes to choose from, but the default is bright and colorful. You have two tabs that are open by default, and as far as I could tell, that is the maximum amount of tabs you can have open. 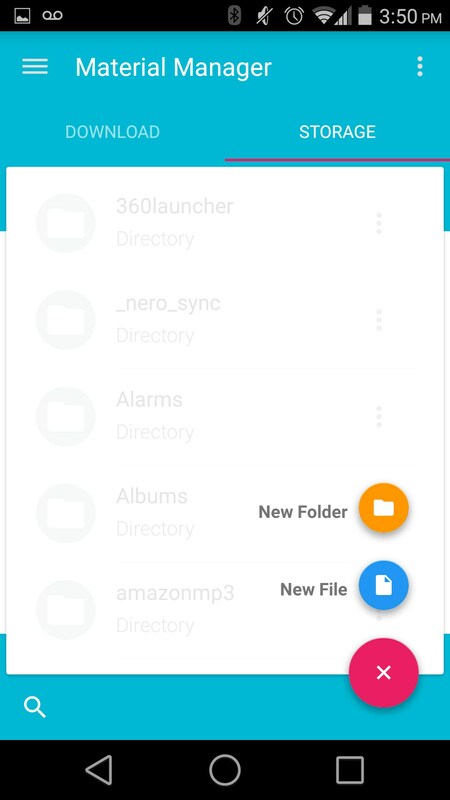 If you swipe to the right you have a few filters you can use to search through these tabs, and on the bottom of the screen you have a button to create a new file/folder and a search function. The menu options are pretty slim. You can enable tabs, choose between themes if you upgrade, and give the app root access. 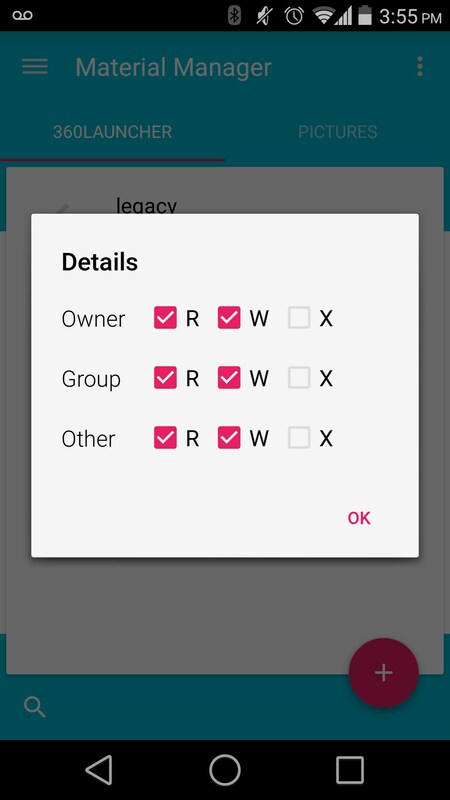 As far as I could tell, giving the app root access allows you to change permissions on certain applications. 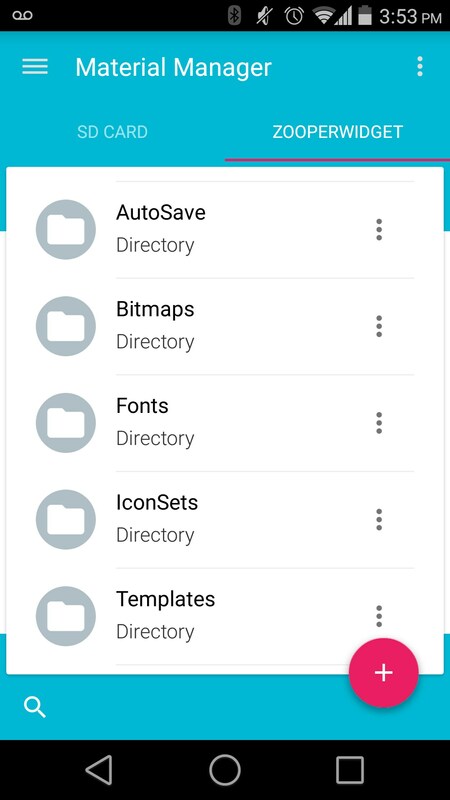 Material Manager is a great looking file manager app that has all of the essentials. It doesn’t give you quite as many customizable options as some other apps, but it’s also not the eyesore most other apps are either.